As we march deeper into the wild and woolly media landscape of 2014, it has become clear that there are three issues the majority of Adweek’s readers are trying mightily to better understand. The new media trinity of data management, native advertising and Web video has evolved into verticals dominating strategy discussions and bouts of sleeplessness, with questions and pain points ranging from the elemental (What are they?) to the almost philosophical (What is the right talent to invest in, and where are they?). Data is particularly thorny and complicated, and we’ve themed this issue with analysis to help put at least some of it into perspective. Longtime Adweek contributor David Gianatasio’s cover story dives into the scary world of consumer data theft and how big brands like Target—victim to a particularly nasty case of cyber sculduggery—can protect themselves while easing customer concerns. Also worth noting are the cover and supporting illustrations by graphic artist Noma Bar, which subtly capture the tension of the data conversation. Conversely, data as a creative force is explored in this week’s Voice column by BlueKai CEO Omar Tawakol, who posits that second-party data partnerships can yield a huge upside for those brands willing to do some symbiotic sharing. Native, too, has caused an immense amount of handwringing. But why? We are at a clear inflection point where audiences, armed with choice and technology, have become ad-blind. Spots, pages and banners? Blurring into invisible. Still, most media outlets exist as businesses, going concerns supported by this challenged traditional ad model. If responsibly executed native helps lift the scales off audiences’ eyes and keeps writers, editors and designers off the unemployment line, I say bring it on. Adweek is lucky to have running its burgeoning Brandshare native program our digital content strategist Kolby Yarnell, who has real editorial chops, institutional contacts and savvy—all crucial to a successful native play. Finally, we come to video where real creative energy and hope collide with marketplace reality. As audiences go on viewing benders with the second season of Netflix’s House of Cards, it’s clear that highly produced series can cut through the clutter and find meaningful numbers of viewers. But the vast majority of video produced for the Web—much of it really wonderful for either its production values or guerilla-infused originality—struggles to find anything even approaching virility. The fast-approaching Digital Content NewFronts—of which Adweek, in partnership with the Interactive Advertising Bureau, is the official media partner for the second year running—have made real gains lifting the profile of the medium and its programming partners among advertisers and the media-buying community. But while exciting, these still remain early days. This year, Adweek will once again publish an entire issue and a dedicated hub on Adweek.com devoted to the Web video industry, timed to the start of NewFronts week on April 28. 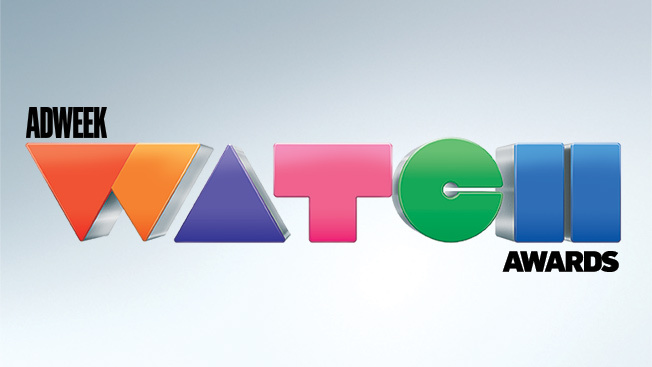 And to celebrate the programming, production and talent featured daily on our VideoWatch blog, this year we are launching the Watch Awards, for which we are currently accepting submissions (including those from students) across 43 award categories at adweekwatchawards.com. Winners for single video and video series in each category will be announced in May in Adweek and at Adweek.com. As always, we’re ready to listen, watch and learn.